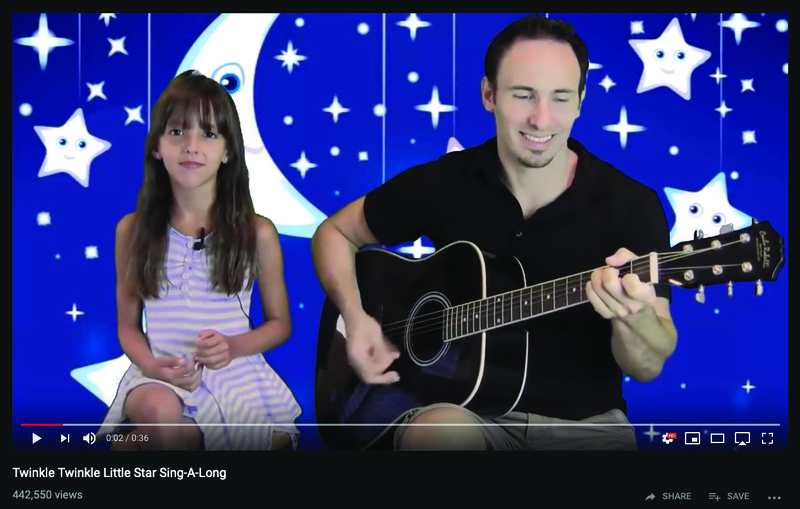 As things get busier and busier here, I was inspired to take a trip down memory lane and watch a few singalongs I had done with my niece Michaela. We were both so young! lol! She was such a good sport and I love that we have those memories together forever etched in Youtube history. As I watched the videos, I remembered how fun it was to make weekly videos both for kids and also online piano lessons for my first company, The Music Workshop. I had the best time filming and editing videos. 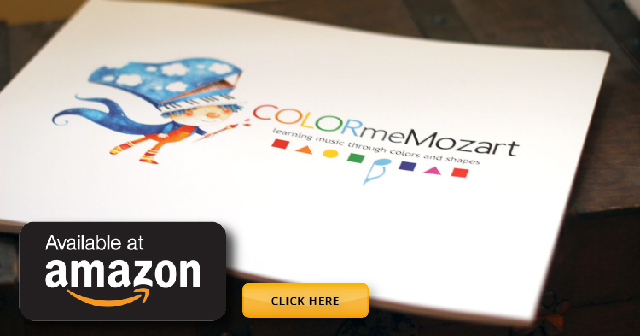 That got me thinking that I needed to add some Color Me Mozart™ videos to this site, including singalongs and educational videos too. That way, you can singalong, learn some music and we could all have a musical experience together. I also want to take it a step further in the coming months by offering Live Q&A videos and collaborative projects tat we can do together. Then you can send in your videos and we can create a musical montage, how fun would that be! As a weekly series, one of the featured topics will be music education. In addition, this will include mini-lessons to learn how to apply all the concepts and topics taught in the Color Me Mozart™ books. Learning music and learning to play the piano is a great experience. With these weekly mini-lessons, we'll go over all you need to know to have a great musical and piano learning experience. If you're a teacher, I will also talk about the importance of adding music education in the classroom. The great news is that it's easier than you think. We will discuss the best music classroom techniques to make your music class a successful one. As with this video of my niece and I singing the ABC's, we will be posting videos of new singalongs. Don't worry, we'll include all the nursery classics! lol! Twinkle Twinkle Little Star, Mary Had a Little Lamb, Old MacDonald and even London Bridge. Don't forget that we always want to hear from you so be sure to send in your requests for future songs and topics. Click here to send a request. We'll also use this weekly series to announce any giveaways and winners, conference news, Color Me Mozart™ Foundation news and other special occasions such as this month being National Music in Our Schools Month (MIOSM). You have music questions. We have music answers. At the end of the day, what we want most here at Color Me Mozart™ is to help your child learn music. That is why during Live Q&A videos, we will answer any questions you may have. Those questions can be about anything related to music. "How to practice? ", "where is "C" on the piano? ", or "what type of keyboard to buy for your child?" In conclusion, whatever you need to know, we'll do our best to answer it!